The EU does not remain aloof toward the tragedies of conflict in Eastern Ukraine and is trying to help local communities return to life as normal. In early October, the EU announced the allocation of €17 million to support communities affected by the ongoing conflict. Local governments individually or in cooperation with NGOs are encouraged to request grants for recovery purposes, which can total between €200,000 and €2 million. These funds are being distributed as part of the long-term programme, “Support to Ukraine’s Regional Development Policy” (SURDP). “I don’t need to speak about the needs, which are very much beyond the available budget of Ukraine, but here we have means to support local governments with assistance,” explains Berend de Groot, head of cooperation of the EU Delegation to Ukraine. De Groot and other EU Delegation experts explained the details of the application process to Ukrainian local authorities during an information session held on October 22 in Ukraine’s regional development ministry. To participate, local authorities must submit an expression of interest and a project proposal by October 31, 2014, according to information earlier published on EU Delegation website. This is “non-repayable assistance“; local communities will receive these funds as grants, which they will not need to give back, explains Myroslav Koshelyuk, Ukraine’s deputy minister of regional development. The program will “help Ukraine in dealing with the current crisis situation,” Ukrainian official says. Tetiana Shulha, sector manager of the EU Delegation, explains that the assistance will focus primarily on infrastructure recovery (repairing and building temporary or permanent lodgings for internally displaced persons), access to public services (heating, water supply, electricity, healthcare, education, etc. ), employment for internally displaced people, and the promotion of their economic activity in host communities. Another important part of the project is the “reconciliation and peaceful coexistence” of internally displaced persons within the host communities, Shulha says. 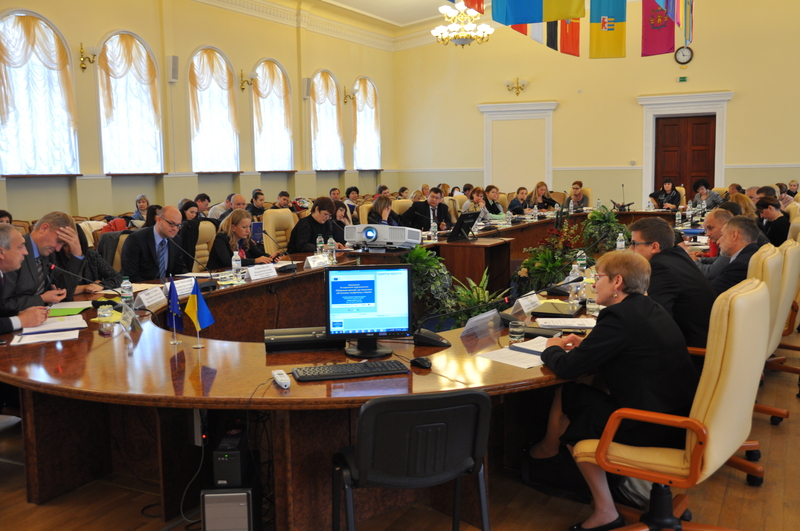 “The local governments of Kramatorsk, Slovyansk, Mariupol and other crisis-affected cities are especially encouraged to apply for the grants,” says Shulha, adding that the programme will primarily focus on communities that have suffered from the conflict but that are now under the control of the Ukrainian authorities. “Unfortunately, we cannot work in the area of anti-terrorist operation,” she adds. Eligible authorities must submit a request for the available EU support , which can range from a minimum amount of €200,000 to a maximum of €2 million. The grant should be intended to cover at least 50% of the total eligible costs of the proposed project. At least 10% of the eligible costs must be sourced by the applicant from its own budget. In exceptional and well-justified cases, a waver to the latter condition might be considered. For more information, please, visit the announcement on the EU Delegation website.